After last month’s bizarre September cover, Harper’s Bazaar has a whole lot of making up to do and this month’s choice of cover subject is a great way to start. 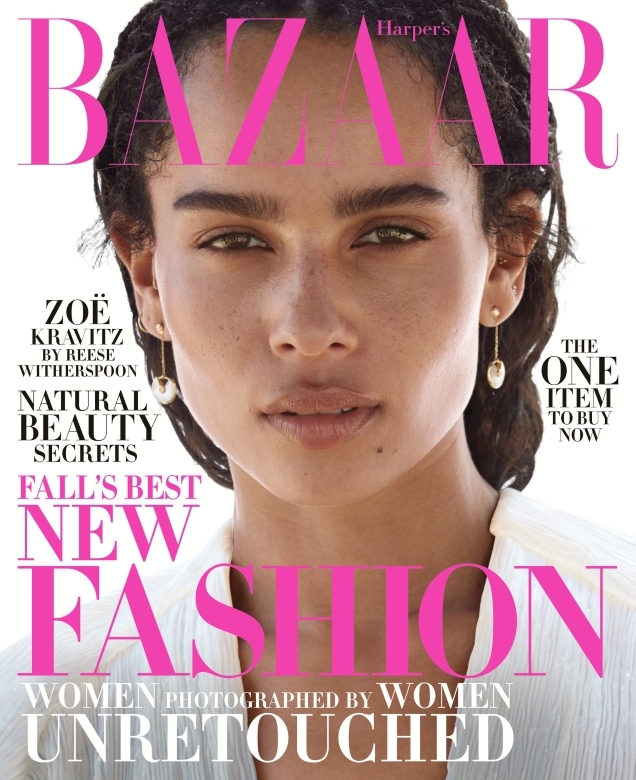 The lovely Zoe Kravitz makes her Bazaar debut on the October 2018 issue, photographed by Camilla Akrans and styled by Patrick Mackie. No stranger to fashion magazines, having already covered the likes of Allure, InStyle, British Vogue and US ELLE, the actress and Saint Laurent brand ambassador goes completely unretouched throughout the cover shoot. Despite Bazaar’s attempts at something different, our forums weren’t here for the outcome. “I would probably like this if it was a little more zoomed out, but I think her expression is a little too squinty here — she’s very beautiful regardless and it’s good they’re going for a new cover star,” wrote 333101. “Refreshing choice for them, but wow, they couldn’t zoom the shot out more? She’s got such defined cheekbones and jawlines, yet it’s nearly invisible here. Don’t get me started on the hair. Complete miss for me, I’m afraid,” Benn98 said. “At least it’s better than September,” added jorgepalomo. “Why are they constantly trying to make her happen? There’s literally nothing interesting about Zoe Kravitz, or her mediocre acting,” complained mepps. Lola701 wasn’t exactly jumping for joy either. “Is it possible to have ‘unretouched pictures’ or ‘women without makeup’ or even ‘women photographing women’ without it being a marketing thing? It’s getting boring even more when it’s for something so simple,” she ranted. Some forum members liked it, however. “Oh wow, I love this. The natural beauty, the wild feminine feature. Just stunning!” HeatherAnne praised. “Nice cover, effective, which is the exact opposite of what I’m used to from US Bazaar,” said dfl-001. See Zoe’s accompanying cover shoot and share your thoughts with us here.